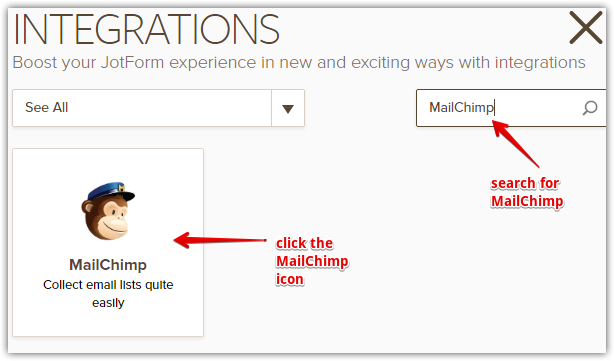 I'm assuming you want to integrate MailChimp to JotForm. If not, can you please provide us more information about your inquiry? 1. Click the Integrations button in the Form Builder. 2. In the Integrations wizard, search for the MailChimp button and click it. 3. 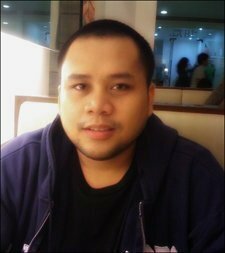 Paste your API Key to Authenticate the integration. Click the Complete Integration button when you're done.